Dr. Shilpa Apte is an obstetrician and gynecologist in Apollo cradle Jayanagar 5th Block, Bangalore and has an experience of 17 years in these fields. 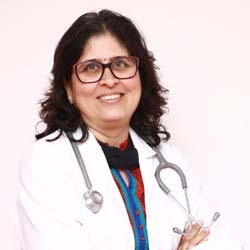 She completed MBBS from Maharashtra Universtity of Health Sciences, Nashik in 1995 and DGO from Maharashtra Universtity of Health Sciences, Nashik in 2000.She is a member of Bangalore Society of Obstetrics & Gynaecology. She handles all kind of high-risk delivers and gynec procedures. Apollo Cradle has made my dreams come true! I am so grateful to all the amazing team there; I appreciate the 24 hours’ availability of the staff. I did not feel sick or tensed during the days of my admission there. Dr. Shilpa is such a lovable person who had been my support during the pregnancy. She had answered all my queries and guided me all the way long. The food served was healthy and appetizing. Under the supervision of Dr Shilpa Apte, I delivered my little baby. The most beautiful thing about Apollo Cradle was the support team. Apart from that, the behaviour of the staff and the way they made sure that the query is handled efficiently was what made it to top my list of priorities. I am very thankful to have been a part of such a glorious place.